Fabric Content Neutral microfiber seats and durable vinyl base. Arm Flair tapered arm wrapped in dark brown vinyl. Back Type Loose Pillow Leg or Skirt Wood block legs in a medium finish. 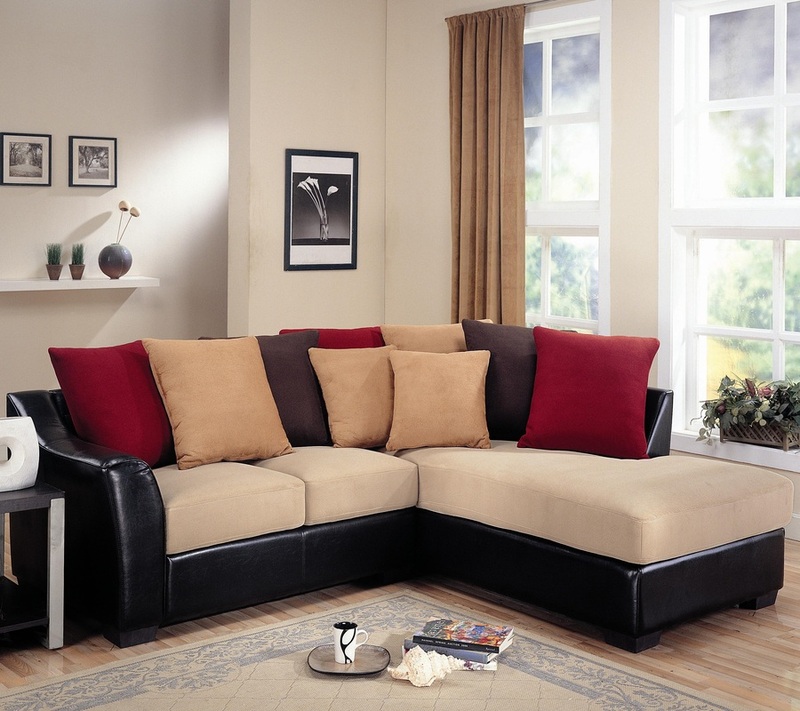 The Lily Contemporary Sectional with Assorted Back Pillows by Coaster is available in the area from Coaster.